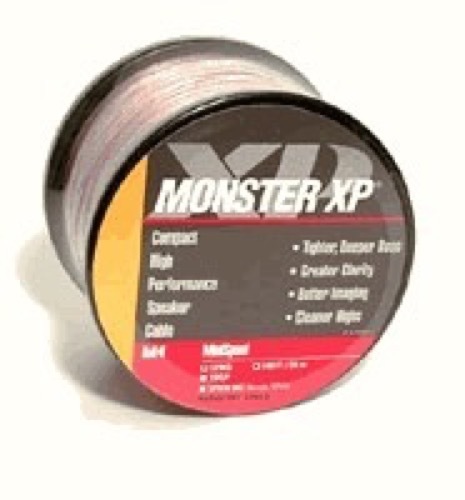 Monster XP speaker cable, 20 ft, 16 gauge, Navajo White, mini-spool. Monster XP, the high performance high definition speaker cable. Impressive overall clarity, more power and greater dynamic range, tighter and deeper bass. Compatible with all amplifiers and receivers.